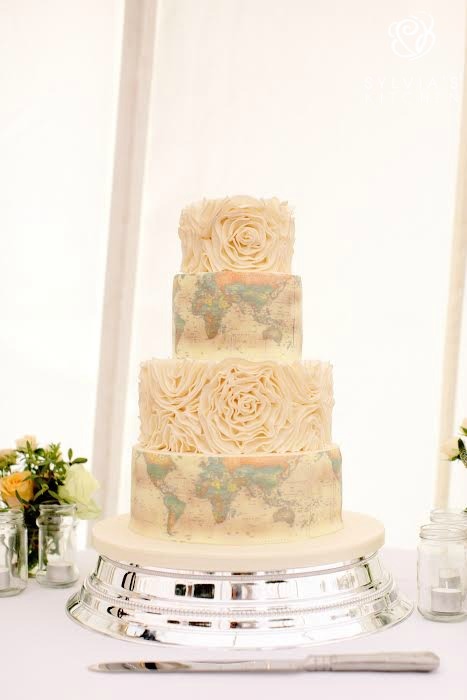 Four tier wedding cake at Glynde Place, Glynde, Lewes, East Sussex. 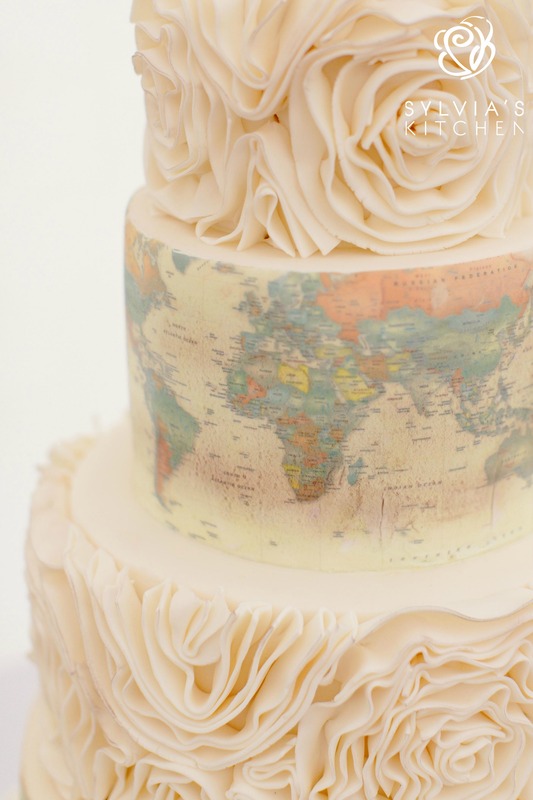 Alternating tiers in ivory and various muted tones of sugar ruffled work and edible map imaging with some distressed effect. Base tier of Belgian couverture chocolate cake with whipped Belgian couverture chocolate ganache, tier one of fresh carrot and walnut sponge with whipped orange oil and orange zest buttercream. Tier two of Belgian couverture chocolate sponge laced with Chambord and filled with raspberry and chocolate whipped ganache and tier three of fresh lemon zest sponge with whipped lemon zest buttercream. Cake serves 130 finger portions. Images kindly provided by Rebecca Goddard Photography.